I hope you all had a great valentines day + weekend. as I'm sure most of you know, the beautiful print above is the newest for all things lovely collaboration with b is for bonnie design and today, we're giving you a chance to win one! 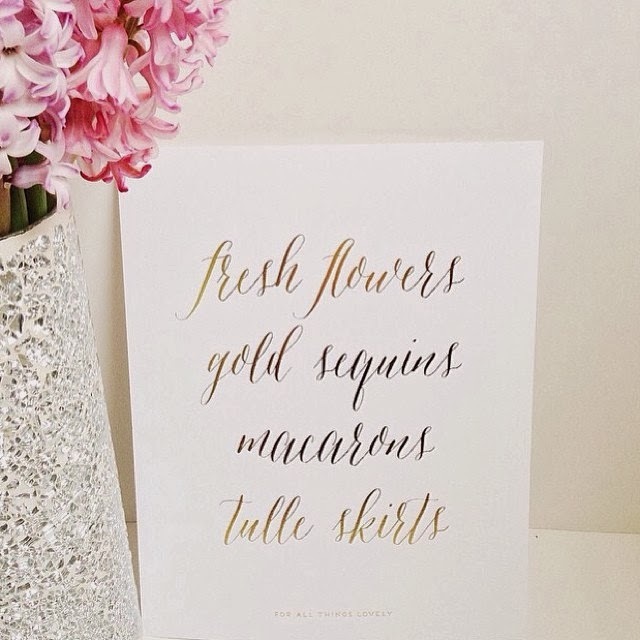 Inspired by the loveliest things in life, this print has vibrant, gold foil on thick, white card stock. If you can't wait for the giveaway, head on over to the shop to grab your limited edition print now! p.s. - the winner of the "everyday I'm hustlin" mousepad is Tiffany Gandy. email me and we'll talk details! Gorgeous giveaway! I posted to my instagram account @annakerns - thank you!!! Such a cute print! Great giveaway!